Writing prose is essentially a lonely occupation. One thing that helps with that is now and then hearing from people who have enjoyed my work. Then every once in a while someone does something extra special, and I want to give a big thank you to one of them right now. Mr. Kim Tae-jin recently bought the rights to four of my stories and has now printed them in two very handsomely produced volumes. Number one has “The Phantom of Kansas” and “In the Hall of the Martian Kings.” Number two is “The Persistence of Vision” and “In the Bowl.” So now I have been translated into Korean, and I thank him for that. 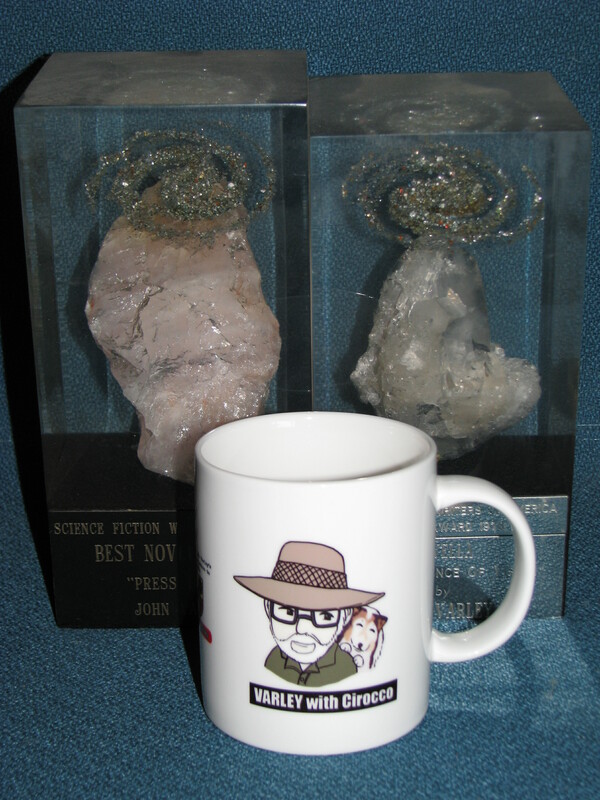 What went far beyond anything I expected, though, was his inclusion of customized mugs with my author’s copies. These are just so delightful I had to post pictures of them here on the website. 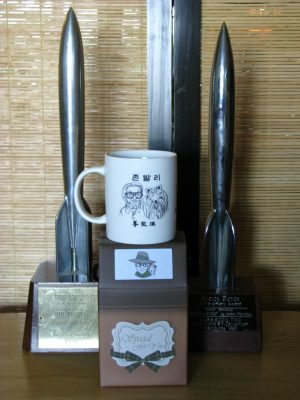 Each side of the mugs has a picture of me and my beloved Shetland Sheepdog Cirocco, my companion for 19 years and gone now for 16. I still think of her every day. These gifts brought sad but welcome tears to my eyes. Thank you again, Kim Tae-jin.